You’re invited to spend 3 days/2 nights exploring Dataw Island and all the amenities and sports options you can squeeze in! Play unlimited golf on the club’s 36 holes or unlimited tennis. Try out the bocce and croquet. Work out at the Fitness Center. Swim in the indoor and outdoor pools and more. A community Realtor will give you a tour through the amenities and help you explore home options. Please call ahead of time, if you will be bringing a dog or will need an extra room. Send me more information about visiting Dataw Island! 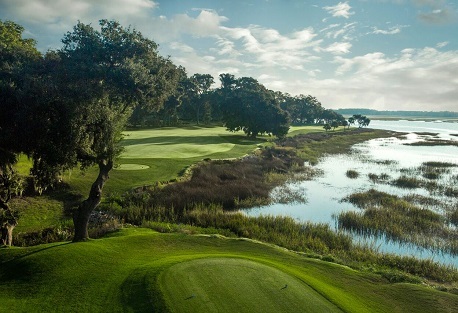 This serene island seems made for Lowcountry golf. And Cotton Dike, the first golf course created here, had the perfect designer for the job, Tom Fazio. An experienced waterfront designer, Fazio took particular advantage of the unusual landscape. Send me more information about Dataw Island! Real estate here offerings here center on single-family homes and townhomes. Residents take in marvelous views of the marsh, the riverfront or the fairways of either Cotton Dike or Morgan River golf course. Homes are priced from the $180,000s to $1 million+. Send me more information about Dataw Island!